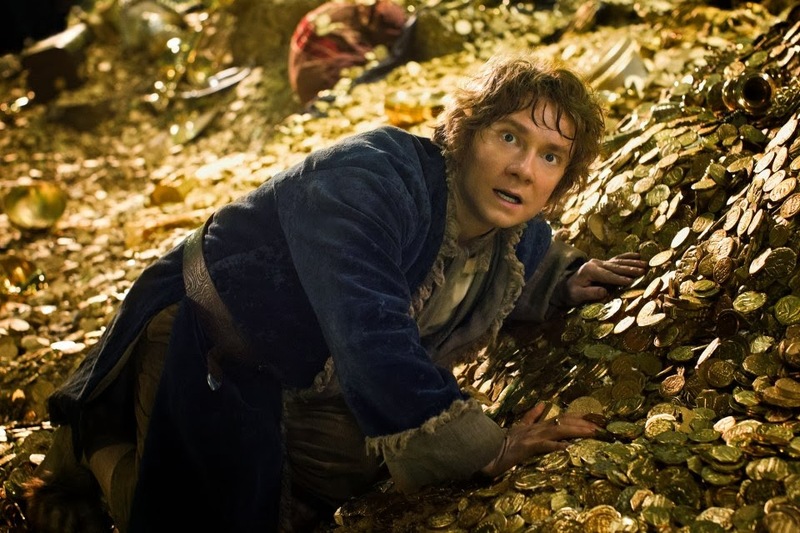 Yes, The Hobbit: The Desolation of Smaug squeezed out another first place finish ($29.9 million) followed immediately behind by Disney's Frozen ($28.8 million). Frozen is doing exceptionally well, much more than anyone could have imagined and could well wind up being one of the 3 biggest movies of 2013. The rest of the box office played much like any Christmas weekend. However, let's talk about The Secret Life of Walter Mitty ($13 million), which may have a hard time surpassing it's $90 million budget. Still, that's not quite as big of a climb as 47 Ronin ($9.9 million) has to make to surpass it's $175 million budget. *As of Oct 2013 The Hobbit Films cost $561 million so far. The Hobbit: The Desolation of Smaug remained at the top spot at the box office this Holiday Weekend ($31.5 million). While it's trailing The Hobbit per weekend, Desolation of Smaug still could make a chunk of change in the next couple of weeks as the Holiday market usually increases the box office during the week. 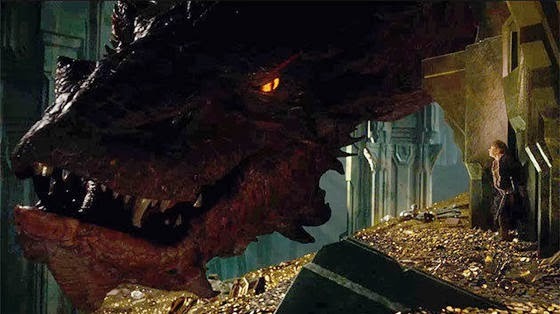 Smaug has grossed $403.8 million worldwide. 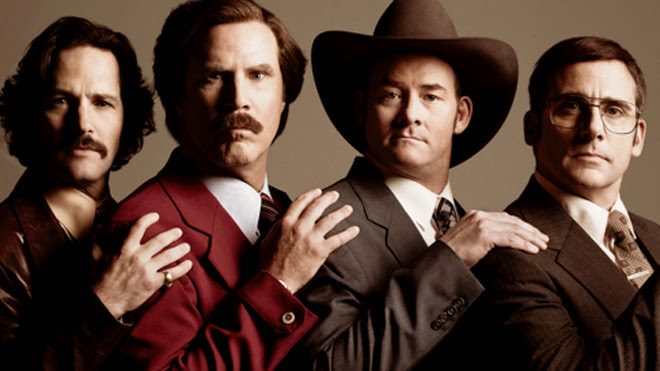 Anchorman 2: The Legend Continues debuted with a strong $26.8 million and has made already $40 million since Wednesday. Also debuting strong, is the award happy American Hustle ($19.2 million), which is a bit above expectations. It wasn't all good news at the box office though, Fox's Walking with Dinosaurs managed an 8th place finish with $7.3 million. 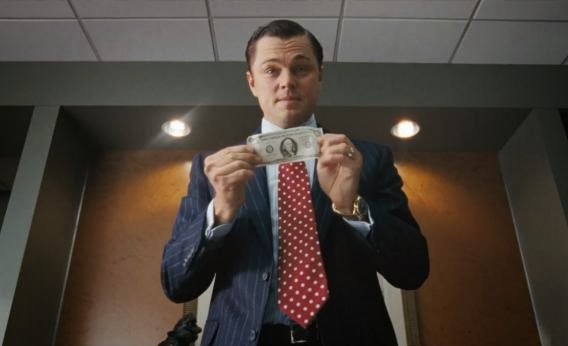 The film reportedly cost $80 million to make and will have trouble recouping that amount. Here comes the onslaught of movies for the Holiday Season. Hit Factor: The first Anchorman is pretty damn funny. Flop Factor: Will Ferrell hasn't exactly been box office gold lately. Hit Factor: Getting a lots of awards nominations. Flop Factor: There are a lot of movies out. Hit Factor: Also, getting some awards nominations. Flop Factor: Could get lost in what's becoming a crowded movie market. Hit Factor: Hit factor there is no other Dinosaur movie out at the moment. Flop Factor: Tough market, families may still want to watch Frozen or maybe The Hobbit sequel. Well, except for Frozen because that's still doing well. 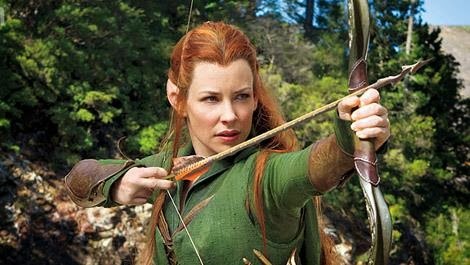 Peter Jackson's The Hobbit: The Desolation of Smaug ($73.7 million) easily took the top spot at the box office this weekend. Though it made less than An Unexpected Journey's $84 million, Smaug could still have strong legs throughout the Holiday Season and push it close the $1 Billion mark worldwide. As for Tyler Perry's A Madea Christmas, it took in $16 million for third place which is decent. However, it marks one of Tyler Perry's lowest openings. Hit Factor: Well, do I have to? Flop Factor: Despite being getting positive reviews, it's still not quite as spectacularly acclaimed as The Lord of the Rings Trilogy. Hit Factor: People still seem to flock to Tyler Perry films. Flop Factor: How long is he going to milk this franchise? In a rather interesting move, Disney's Frozen took the top spot ($31.6 million) from The Hunger Games: Catching Fire ($27 million) this weekend. Though Catching Fire has made a boat load of money ($336.7 million), it is now questionable if The Hunger Games sequel will be able to beat the original film's domestic gross ($408 million). Worldwide, Catching Fire has already grossed $673.4 million which should easily beat The Hunger Games' tally of $691.2 million fairly soon. Only one new film opens in wide release this post Thanksgiving weekend. Hit Factor: Cast... an Award hungry film. Flop Factor: Early reviews have been less that Award-like. A few new movies hit theaters this Thanksgiving Day weekend... all out to battle The Hunger Games: Catching Fire. 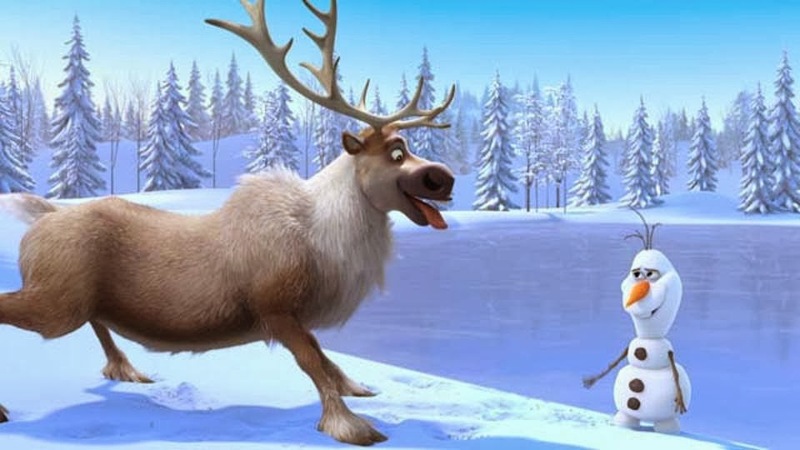 Hit Factor: Disney releasing an animated Holiday film on a Holiday weekend. Flop Factor: This is Disney, not a Pixar movie. Hit Factor: Based off of a popular play. Flop Factor: Reviews so far are smack dab in the middle of the mediocre zone. Flop Factor: Doesn't feel like a Statham movie... (Heard it was written by Stallone and may have been one of the plots for a Rambo film). Hit Factor: An Arthouse type of film that could get some buzz from word of mouth. Flop Factor: Unfortunately, it's reviews are mediocre so far, for real word of mouth to work. 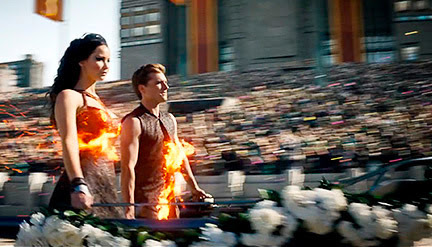 It's no surprise that The Hunger Games: Catching Fire easily burned down, fueled up, ignited, lit up, and caught fire to the box office this weekend ($161.1 million). This makes it the 4th biggest debut in history, behind The Avengers ($207.4 million), Iron Man 3 ($174.1 million) and the final Harry Potter film ($169.2 million). 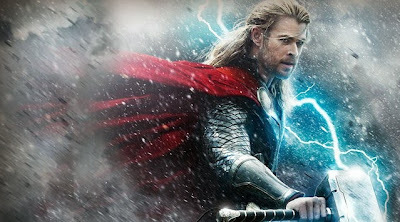 It is also the biggest opening for a November movie, beating out Twilight's New Moon ($142.8 million). 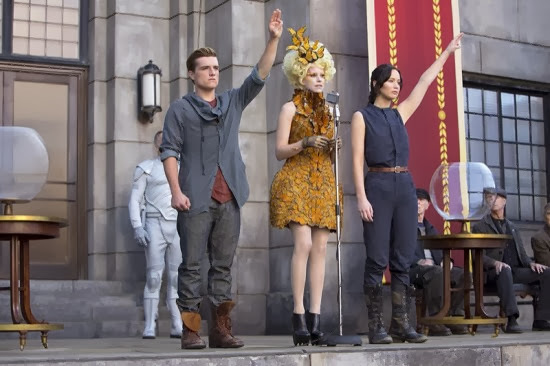 Worldwide, it's total stands at $307.7 million... ahead of the first Hunger Games' $211.8 million debut in March of 2012. There was another movie that was released this weekend (in case you weren't aware). And that's Vince Vaughn's Delivery Man. It delivered $8.2 million for a 4th place finish. It's one of Vince Vaughn's worst debuts in a while. Though, all is not bad because this film reportedly cost a modest $26 million, so it could easily make some money back. A couple new movies hit theaters this weekend. Only one, people are talking about. Hit Factor: There's like some books that a lot of people like. Flop Factor: Umm.. I don't think this has any flop potential. Hit Factor: Counter audience to The Hunger Games (maybe?). Flop Factor: The Hunger Games has so much buzz that people don't realized there is another film debuting in theaters this weekend. Thor: The Dark World easily held onto first place for the second weekend in a roll ($38.5 million). In fact, it has already grossed over $479 million worldwide, already surpassing the first Thor's final global tally ($449 million). In other news, newcomer The Best Man Holiday, put up some impressive numbers ($30.6 million) for second place. The sequel is rumored to cost around $17 million. One new movie opens in wide release this weekend, in the aftermath of Thor: The Dark World and before the onslaught of The Hunger Games: Catching Fire. Hit Factor: Apparently a sequel. No new films out this weekend. Flop Factor: A sequel 14 years in the making. Nudged between two of the biggest movies of the year. The return of the mighty Avenger in, Thor: The Dark World, hammered down the competition with a furious lightning bolt of $86.1 million. It's worldwide total now stands at $327 million. As expected, last weekend's number one, Ender's Game, dropped over 60% for a 5th place finish ($10.3 million), and may put a hamper on Lionsgate's decision to green light any sequels based off the books. A few movies hit theaters this weekend... Well, mainly one big one and a couple of others expanding. Hit Factor: The Avengers bump. Flop Factor: How is this different from that other Rachel McAdams time travel romance movie? Hit Factor: 96% tomatometer... right between Gravity and Captain Phillips, a couple of the highest rated films of the year. Flop Factor: Will a mass audience want to see a movie that's dark, depressing and brutal just because it's good? 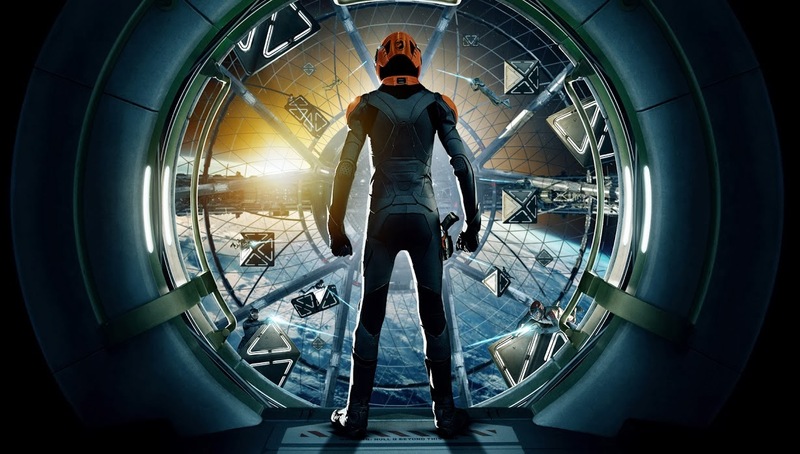 The book-turned-into-a-movie, Ender's Game, took the top spot at the box office this weekend ($28 million). It's good news to be in first place, but may not be good enough as it reportedly cost $110 million and it's target audience will get dismayed next weekend as Thor: The Dark World hits theaters. 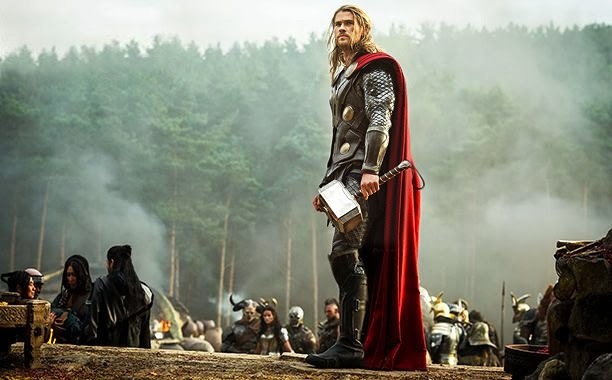 Speaking of Thor: The Dark World, it opened to the tuned of $109.4 million overseas this weekend. Other newcomers Last Vegas and Free Birds are in a close battle for third place ($16.5 and $16.2 respectively). 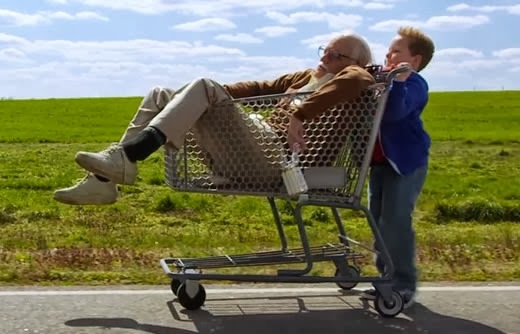 Jackass Presents: Bad Grandpa is holding on strong in second place ($20.5 million). A few new movie hit theaters this weekend. Hit Factor: I loved the book as a kid. Flop Factor: I know some gay people and may wait till it's on Bluray. Hit Factor: Cloudy with a Chance of Meatballs 2 is pretty much wrapping up it's box office run. Flop Factor: A very low marketed animated movie doesn't bode well. Hit Factor: The Hangover for older people. Flop Factor: Honestly looks like a lazy movie, but a fun set to be on. Yes, the Jackass spin off, Bad Grandpa, took first place ($32 million) this weekend as Gravity (came back to Earth, returned from space, "insert your pun here")is still putting up some strong numbers ($20.3 million) well into it's 4th week. Ridley Scott's star studded The Counselor only managed to take in $8 million (far below expectations), for a fourth place finish. On the bright side, this film reportedly cost $25 million to produce, with major talent taking pay cuts to work with the legendary director. The new much buzzed about film, 12 Years a Slave managed to crack the top 8 this weekend ($2.2 million) while only being in 123 theaters. It looks like Gravity might finally be dethroned from the box office as one Bad Grandpa comes to town. 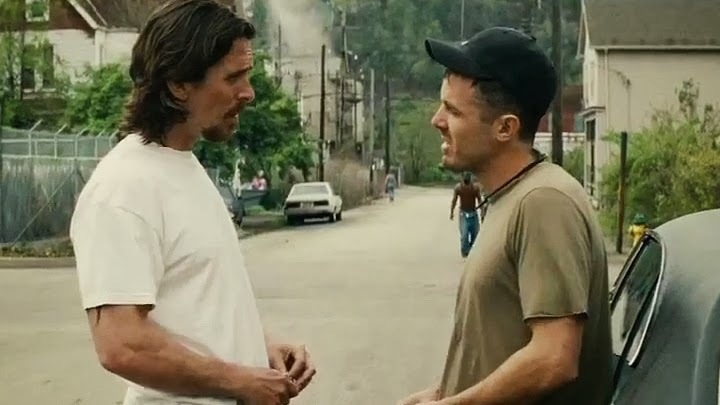 Hit Factor: Amidst all the intellectual movies out there, the audience want's something brainless... and the Jackass crew seems to always deliver. Flop Factor: Take Jackass Presents out of the title, people would ask if this is a sequel to Bad Santa. Hit Factor: A cast including Michael Fassbender, Cameron Diaz, Penelope Cruz, Javier Bardem and Brad Pitt... directed by Ridley Scott. Flop Factor: For a cast that big and a legendary director, the buzz seems rather low. The Sandra Bullock and George Clooney Space flick, Gravity, easily held on to the top spot at the box office for the third weekend in a row ($31 million). It's strong word of mouth is helping drive 3D sales. Captain Phillips held on strong for a second place finish ($17.3 million), narrowly beating out newcomer, Carrie ($17 million). The Sylvester Stallone and Arnold Scharwzenegger movie Escape Plan came in fifth place ($9.8 million)... pretty much in line with what many analysts were thinking, though far behind what the studios have hoped. As for The Fifth State, the story about Julian Assange, well... nobody went to see it (well some went to see it), as it debuted in 8th place ($1.7 million)... and many are calling it an instant flop. 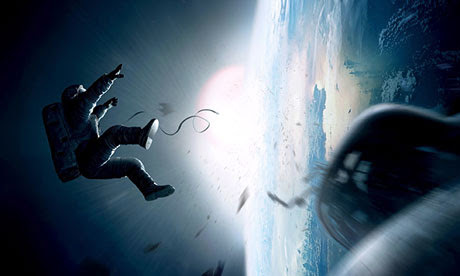 A few new movies hit theaters this weekend each willing to bring Gravity back to Earth. Flop Factor: Well... this version has no reviews as of yet. Hit Factor: Arnold and Sly in a movie together? Yes. Flop Factor: It would have been awesome if this was the late 80s early 90s. Hit Factor: A story about Wikileaks could be rather interesting. Flop Factor: The type of movie that needs good word of mouth to survive, and so-far, it's kinda so-so. And so-so's will get lost amongst more Award seeking (high rated) films like Gravity, Captain Phillips and even limited released films like 12 Years a Slave and Kill Your Darlings.